Ah, it’s yet another indestructible Nokia post from Reddit. 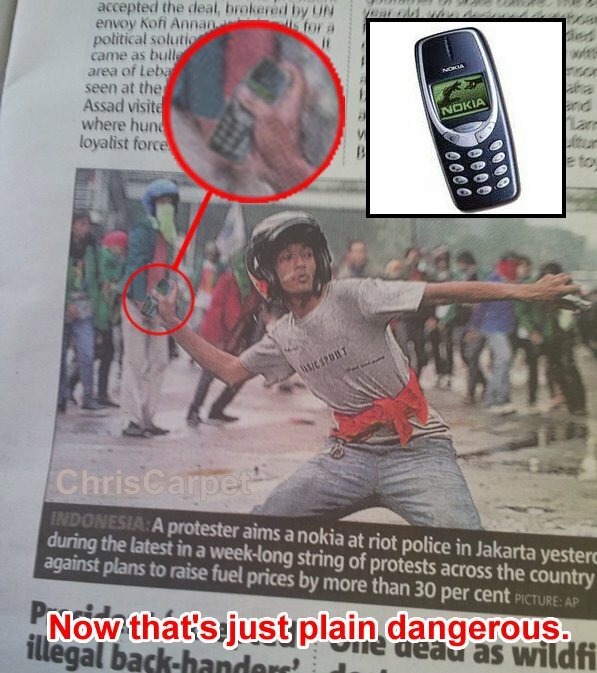 This stars, of course, the Nokia 3310 shopped it seems to appear to be used as a weapon against riot police. p.s. Yes for the millionth time, I know this isn’t news :p. It’s just something fun related to Nokia that some how keep reaching front page of reddit :S.
« Lumia 900 Silicone Cases/Bumpers Available through At&t store- Will cost you 20 Bucks.